Back in September, we reported that Sony Ericsson and Samsung were dumping the Symbian operating system in favour of Android. "Symbian isn't dead," we said, "but it's gone a funny grey colour." That grey colour's gone even funnier today, because Nokia's grabbing Symbian back from the Symbian Foundation. So is the firm about to invest yet more time in flogging a horse that's only good for glue, or is it up to something more interesting? The demise of the Symbian foundation is no surprise. With key partners deserting, Nokia was the only big phone firm left - so having an extra layer of bureaucracy between Nokia and Symbian doesn't make sense. Retaking control means that Nokia can do what's needed and send Symbian to boot camp. Symbian is well liked by developers and powers all kinds of feature phones, but it isn't getting punters excited in the smartphone arena. In that respect it's rather like the now-defunct Windows Mobile, and if Nokia wants Symbian to be a serious platform for smartphones then it needs to do what Microsoft did: invest enormous amounts of time and talent to make it a genuine contender again. To make that happen, Nokia needs to change its attitude: it's long been a hardware company, but smartphones are about software - and Nokia's software isn't as good as rival mobile OSes. 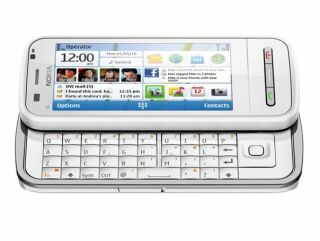 As our Nokia C7 review put it: "We aren't sure Nokia has done enough to make its revamped OS special. It still has nested menus that would make HTC and Apple cringe, and our review handset crashed a couple of times… Symbian^3 just doesn't feel like it has the sparkle or ease of use to take on the leaders, we're afraid." That needs to change. While Nokia remains the world's biggest phone firm, its market share is slipping and Android will move into the feature phone market where Symbian currently thrives. Analysts at Gartner predict that Nokia's global market share will fall to 30.2% by 2014, while Android's will rise to 29.6% and iOS to 14.9%. Nokia's other OS, Meego, is expected to do low single figures. It's hard not to blame Symbian for Nokia's fading fortunes. Partners don't want it, the US isn't even sure what it is, and in review after review it takes the shine off otherwise amazing handsets. Nokia needs to fix it or dump it. When you're competing with iOS and Android you need a racehorse, not a donkey.